It is the dawn of the sixth century in the troubled, misty isles of the Britons. The tribes wage constant war with one another, while the Picts from the wild northlands and marauders from Iwerddon, the emerald isle are a frequent threat. Christianity is spreading rapidly and further dividing the tribes in its push to eradicate the ancient beliefs of the Old Religion. Now, there are ominous signs that Saxons and Angles, old enemies from across the eastern sea, are intent on conquering the islands. No single tribe is powerful enough to stand against the invasion. The Britons are facing complete annihilation if they lose this battle. A great leader is needed who can unite the tribes and stand against the Saxon onslaught. King Aurelianus is seventy-four years old. Who can save Briton from extinction? 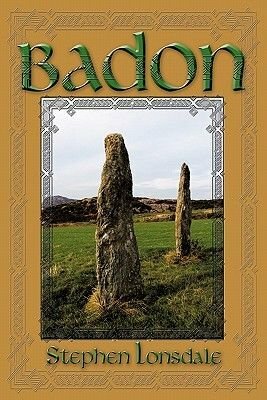 Badon weaves the tales of these turbulent times, the courage and honour of the men, the mystic wisdom of the women who stand as leaders and equals, the fierce loyalty and devotion to home and tribe. Badon is a story of love and valour, intrigue and bravery, betrayal and war.